Kimi Raikkonen thinks Lotus is set to struggle in the Singapore Grand Prix after lapping two seconds off the pace in Friday practice. The Finn was 12th in both sessions, with his team-mate Romain Grosjean 15th and 10th. Raikkonen reckons that the two-second gap to the front in practice was not fuel-related, but an accurate gauge of Lotus’s current speed around Marina Bay. “It was not the easiest day,” he told reporters in the Singapore paddock. “We don’t have enough grip for some reason, I guess we are lacking downforce. He added that the problems were the same on both the soft and super soft tyres. “The same issues are there,” said Raikkonen. “When you put new tyres it normally feels a bit better in the beginning. The former world champion also doubted whether Lotus would benefit from the track ‘rubbering in’ as the weekend developed. “It is not that suddenly our car will suddenly be more grippy than the others,” he said. 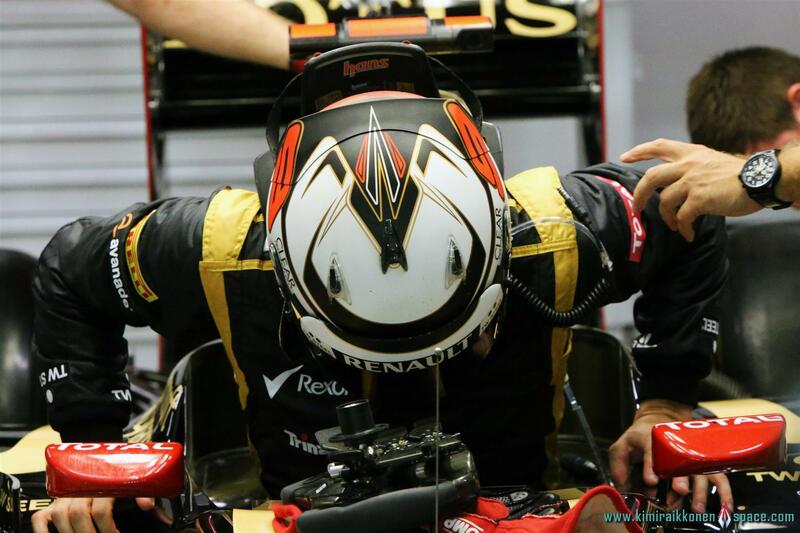 Raikkonen fears that the Singapore practice struggle could be a sign of Lotus losing ground in the development race, despite introducing a new rear wing for this weekend. He had been concerned about the team’s race pace in Belgium and Italy as well, despite scoring sufficiently to keep himself third in the championship. “Maybe we are not improving as well as the others,” he suggested. Raikkonen added: “Usually we improve on Saturday time-wise but like I said, we are not suddenly going to catch up two seconds to the front. “I am sure they will improve also, and it shows that we are not as fast as we should be.